Mrs. Prem Kumari is a hardworking and enthusiastic personality. The school is progressing in positive direction due to her dedication to the profession. She joined as Hindi Mistress in Education Department Chandigarh on 01.01.1990 on regular basis. With a distinguished record of qualification with M.A. and B.Ed., She had a brilliant teaching carrier. 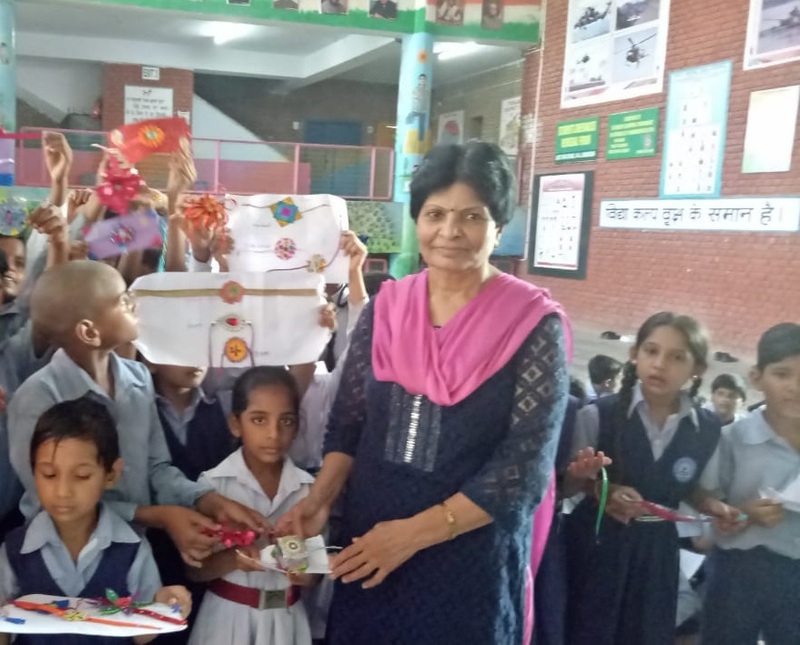 She was promoted as Headmistress on 05.04.2017 and joined GMHS-40A, Chandigarh later. She is working with great passion to uplift the standard of education. She is a very disciplined lady abided by the rules and regulations. Behaviour of students is modified by her value based ideology. She has good public relations. She is always ready to help the needy students. She has Positive attitude towards the life which keeps motivating her colleagues. Students are bringing laurels to the school in various games. She has proved herself as a successful administrator.